[dropcap background="no" color="#333333"]I[/dropcap] have started and stopped writing this chapter a few times because if I’m being totally honest with you gals I don’t want to write this chapter. Finishing this film was one of the hardest things I’ve ever done in my life and even reflecting on it is giving me all kinds of creative post-traumatic stress. They always say the last mile is the hardest, and they couldn’t have been more right. I would like to tell you that for a couple of weeks I went into what we called a “creative blackout” to finish the film. This meant I didn’t take any calls, meetings, or appointments- my only job was to finish the film. But I didn’t do this. I went on running our company, doing press, planning our premiere, and trying to finish my first feature-length film. And if the stress of working towards this deadline wasn’t enough for some reason Komal and I pretended like she didn’t have cancer. We didn’t ask for help, we didn’t re-evaluate her schedule, and we sure as hell didn’t slow down. I remember getting on a call with our investor Joanne Wilson right after Komal was diagnosed. I was feeling really overwhelmed and called her crying to tell her about the news of Komal’s diagnosis and she said very bluntly but with love “get a new co-founder.” I immediately got defensive. “We could handle it,” I thought. Komal and I were sisters, we could get through this. We could figure it out- we’d been through so many ups and downs together I thought this was just going to be another storm we would get through. So we took it take day by day. But not having a plan, or not stopping to make a new plan started to reveal cracks in our foundation. Komal tried to keep her non-stop schedule, while I overcompensated by working to keep up with our deadlines. I felt totally out of control and burnt out. And then we got a call from the White House. Nope, not the one in Atlantic City, (you have no idea how many men ask me that) the other one. The. White. House. You know, Obama’s house. We had been talking to one of our Kickstarter backers from the National Women and Business Council who said the White House might be interested in doing a screening of Dream, Girl. We had a couple of back and forth conversations with them, and the first date they offered ended up not working out timing wise. We didn’t think they would offer us another date, until the end of April when they did. They said the White House would be available to host a screening in the South Court Auditorium on May 26th, which was two weeks before we were scheduled to premiere in New York City on June 9th. As of recieving the email on April 22nd, the film was not done. But we said yes. Looking back I honestly have no idea how we did it. I have no idea how we were able to finish the film with such high stakes involved, and I have no idea how Komal had surgery just three weeks before the White House. But I do know, because I can still feel it in my bones, the amount of passion, dedication, and drive it took for us to get to that stage. We didn’t leave anything on the cutting room floor. The love we had for this film had no limits, and if finishing it meant pouring our heart and souls into it day and night that’s what we did. Dream, Girl was our everything and she was taking us to the top. 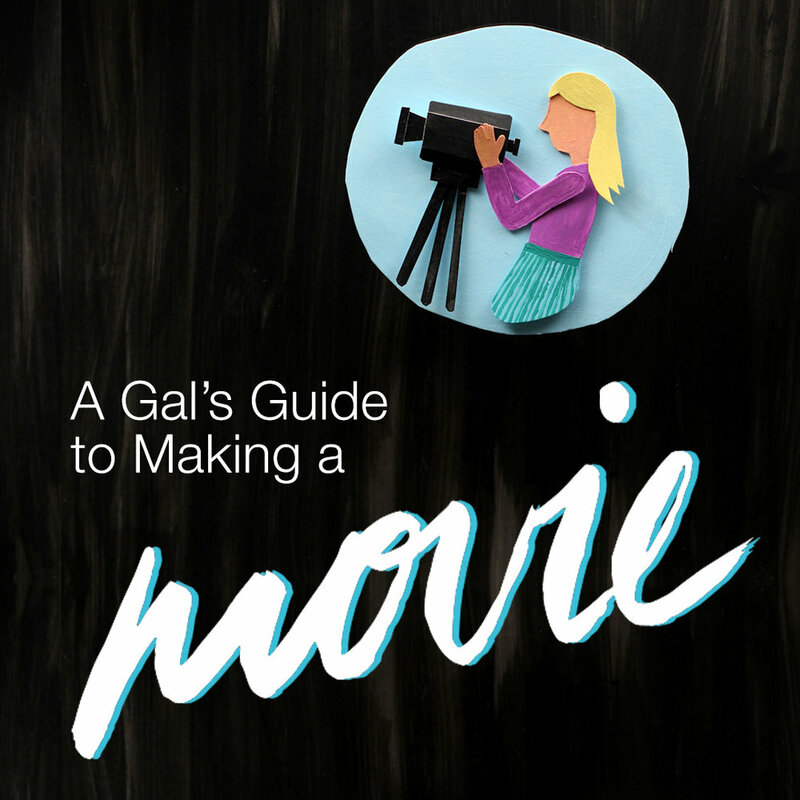 Next time on a Gal’s Guide to Making a Movie. Part 20: The White House. Komal and Erin premiere the film at the White House.